Ariana Vara, a new division featuring Quinceañera, Bridal and Communion collections designed exclusively to meet the unique needs of the Latina market has been finalized by Mon Cheri Bridal in partnership with Randy Friedman, a 40-year industry veteran and president of Pacific Bridal Group, a rep organization covering the western U.S. states. 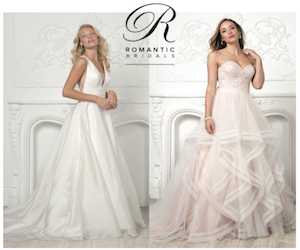 Ariana Vara Bridal, Princessa Quinceañera, and Princessa Communion collections debut in August, fully supported with social-media blitz and online promotions, and in-store point of sale materials including full color catalogs and posters. Ariana Vara Bridal is a limited collection designed by noted Mon Cheri designer Martin Thornburg, who is also designing a line of complimentary communion dresses. Princessa Quinceañera collection is created by Evelyn Wilde, the lead designer for Mon Cheri’s successful Ellie Wilde prom collection, and is offered in a full range of sizes and dramatic colors. Friedman, as company principal, will be leading the sales effort and overseeing a national network of veteran sales reps, as well as covering the West Coast territory with Steve Herrington.